When their Mazda is in need of service or repair, San Diego residents choose Convoy Auto Repair. We are proud to have earned the reputation as the leading auto service center in Kearny Mesa, Clairemont, Serra Mesa, Tierrasanta, Mission Valley, Linda Vista, and San Diego. Our car repair shop is conveniently located in San Diego. Convoy Auto Repair of San Diego has been serving this community for over 40 years. 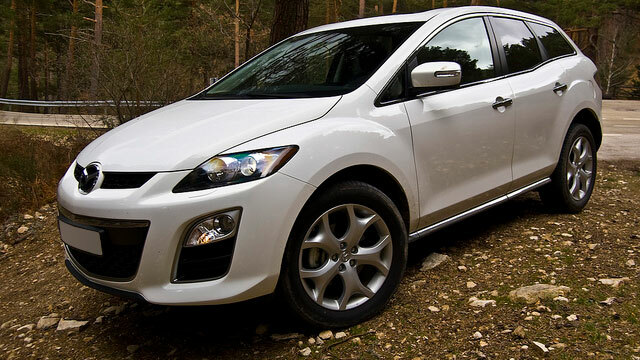 During those 40 years, we have developed an expertise in servicing Asian and American vehicles, including Mazdas. We have the experience, expertise, and education to ensure your Mazda is driving in optimal condition. Communication is the backbone of Convoy Auto Repair. It is imperative that we continually communicate with our customers. Most likely, you don’t know what is going on behind closed doors to your beloved Mazda. Our team will make sure to explain things to you clearly, so you understand what is going on at all times. We will explain what repairs are necessary for the safety of you both you, your family, and your vehicle. We will also let you know which repairs can wait. We try our best to adhere to your budget. We like to think of Convoy Auto Repair as one in a million. We boast an array of esteemed awards and certifications, the highest quality tools, technology, and equipment, and an unmatchable care and loyalty for our customers. To schedule an appointment at Convoy Auto Repair for Mazda service, call us. We are located at 3909 Convoy Street in San Diego.